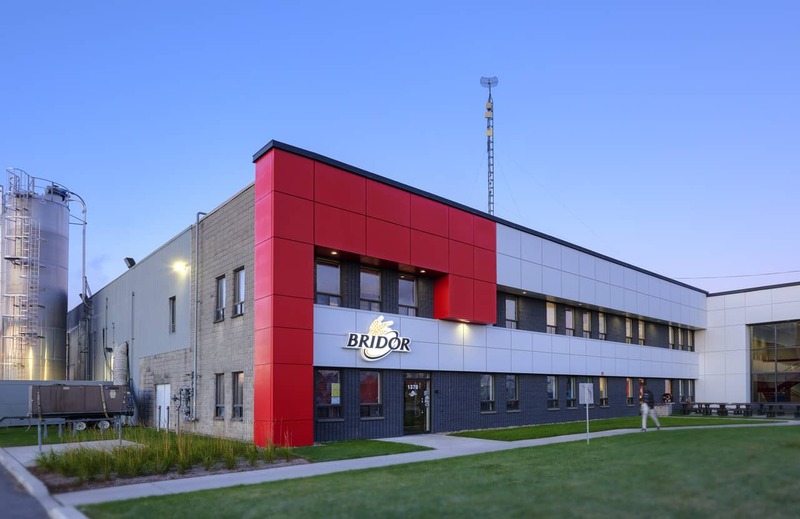 As part of an international corporation, Bridor has entrusted Frare & Gallant to expand their production facility in Boucherville (Quebec). The project was executed in two phases, where the first was to build a 25KV electrical access point so that production remained unaffected and the second was the construction of a 76,000sf facility including a production area, ammonia mechanical room, backup generator and storage area. Frare & Gallant plays a critical part in the design process. Since we are able to convey our expertise to the client and to professionals, we are therefore able to successfully coordinate the installation of state of the art production equipment.